Our product offerings have been renamed. Carbonite Home Backup is now Carbonite Safe Backup, and Carbonite Office Backup is now Carbonite Safe Backup Pro. Hi I'm Cara, a Carbonite expert. I can walk you through this process! Yes please, show me how! You can restore all of your files to a new or repaired computer with the same operating system using the Carbonite Safe software. The sections below are collapsed. Please click the section title to open / close a particular section. 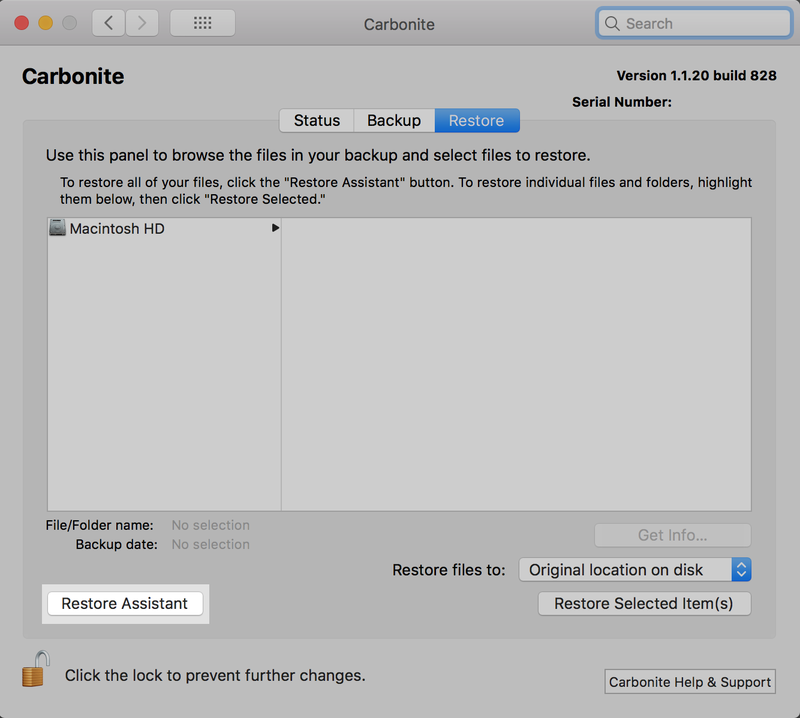 To begin restoring your files, you will need to install Carbonite on your new or repaired computer. If Carbonite is already installed on your computer, skip to Step 2: Restore Your Files. Sign into your Carbonite account at https://account.carbonite.com using your email address and Carbonite password. Click Get Files back for the backup you would like to restore. Click No and Next when prompted if Carbonite is already installed. Which computer are you currently using? - Select the computer you are using from the options on screen, then click Next. Which computer's backup would you like to restore from? - Select the computer you wish to restore data from, then click Next. After this, just click Download Now to download the installer file to your system. Double-click the installer and continue to Step 2: Restore Your Files. 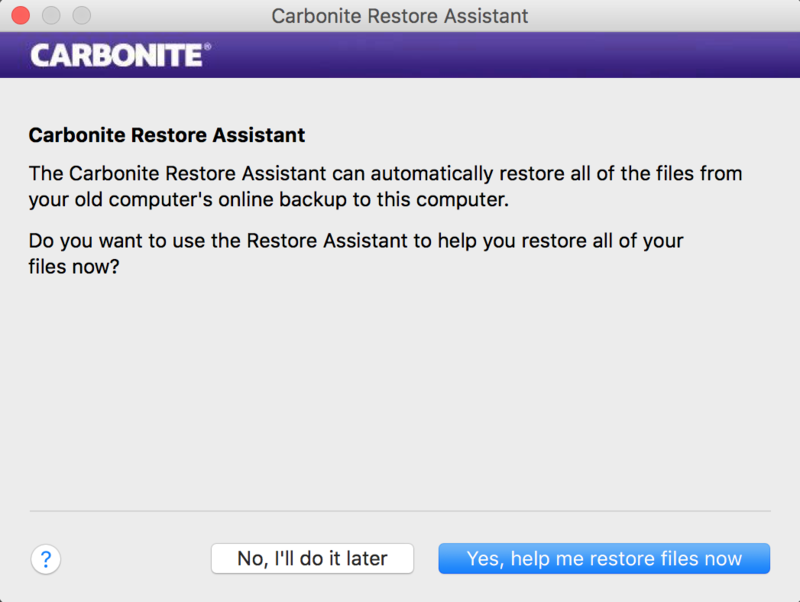 The Carbonite Restore Assistant window will open at the end of the installation. Click Yes, help me restore files now. The Restore Assistant guides you through a step-by-step process to restore your backed up files. You can restore all of your backed up files to user accounts of your choosing. This step allows you to restore your backed up files to a different user name. Usernames that were backed up on the old computer will be displayed on the left. The drop-down list(s) on the right contain the user locations available on the current computer. Use the drop-down list(s) to choose a target restore location for each user. After making your selections, click Continue to proceed to the next step. If user accounts still need to be created, it is strongly suggested that you create them manually through your computer's System Preferences instead of Carbonite. Your restore selections will be displayed. To confirm and start your restore, click Start Restoring Files. Your restore will begin. If you select the Open Carbonite Status Panel when I Click "Done" checkbox, your restore status will display after you click Done in this window. 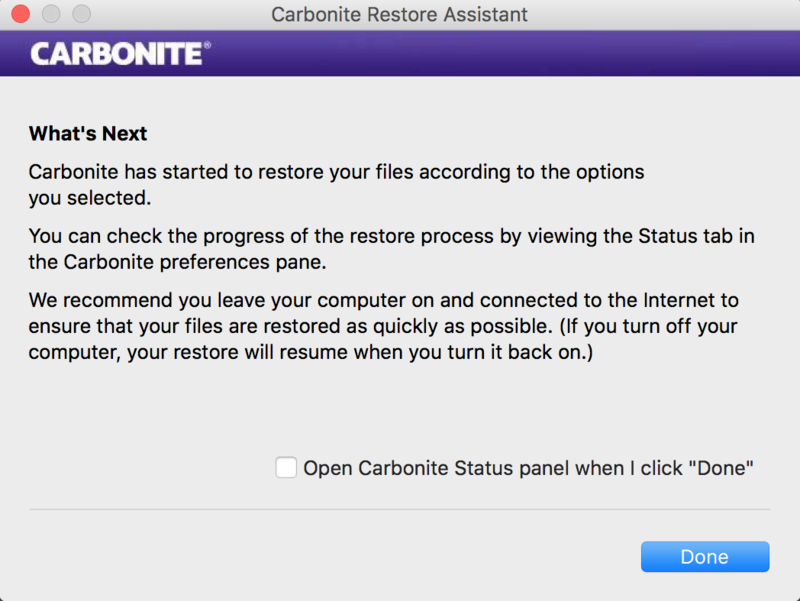 It is strongly suggested that you keep your computer on and keep Carbonite in Recover Mode until the restore is complete. You can find out how to adjust your sleep settings by proceeding to the Next Step below. The Carbonite Preference pane will be displayed. Click the drop-down list for the Backup Is: field and select in Recover Mode. Click Proceed. Carbonite will enter Recover Mode. 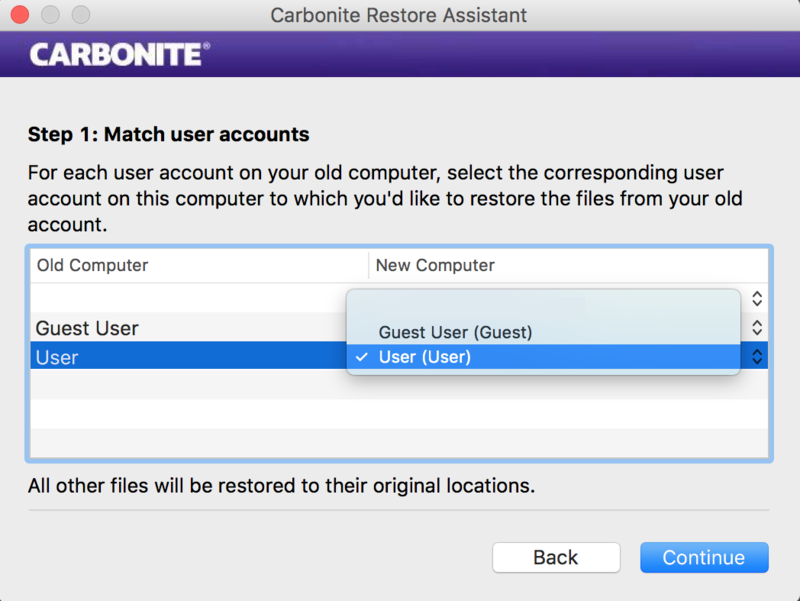 Click the Restore Assistant button to open the Restore Assistant, which will guide you through restoringTo download files from Carbonite’s servers to your computer. all of your files. With the Restore Assistant open, you can restore individual files and folders to finish your restore. You can improve the speed of your restore by making sure that your computer remains on and connected to the internet. 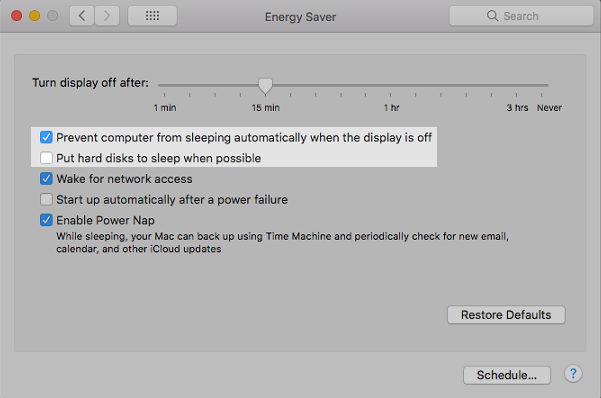 Your Mac's power settings can be accessed through Energy Saver in your System Preferences. 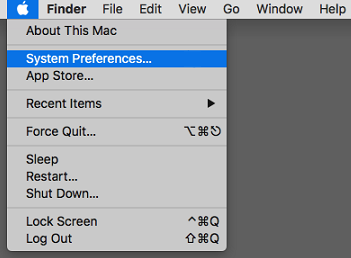 Click the Apple symbol in the menu bar and select System Preferences. 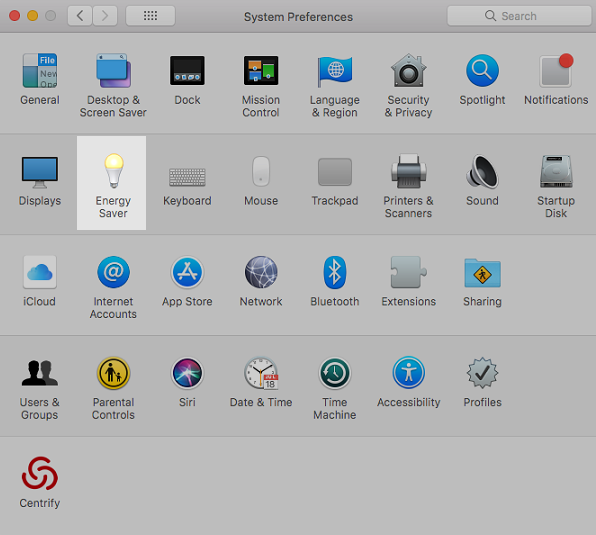 Within the System Preferences window, click the Energy Saver icon to open the Energy Saver pane. Set the Computer sleep: slider bar to Never. Unmark Put the hard disk(s) to sleep when possible. Check the Prevent computer from sleeping automatically when the display is off. After making these adjustments, close System Preferences. You can continue with your normal computer tasks. Note: To change these settings back later, follow these instructions again. When you reach the step for adjusting the settings to Never, click Restore Defaults instead. 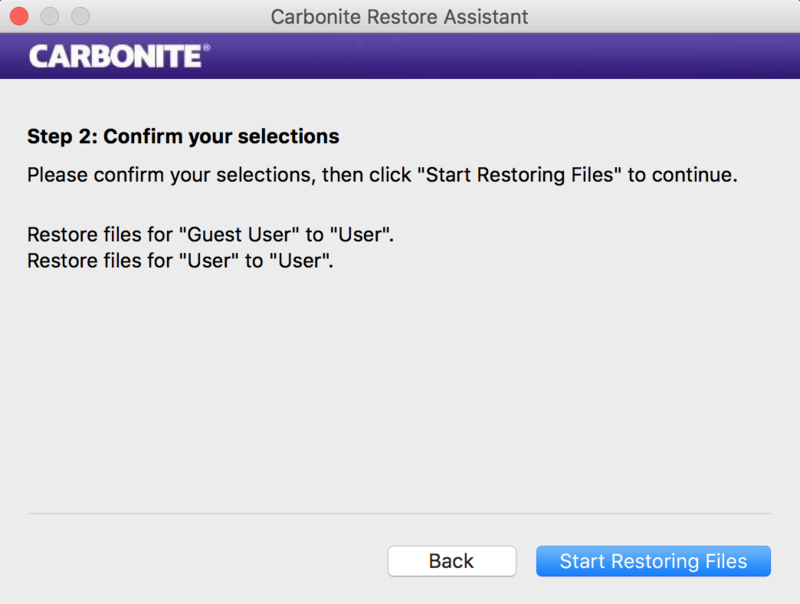 You can continue to use your computer as needed, but do not move or delete any restored files while Carbonite is restoring your files. After the restore completes, please see our post-restore checklist article for instructions on what to do next. 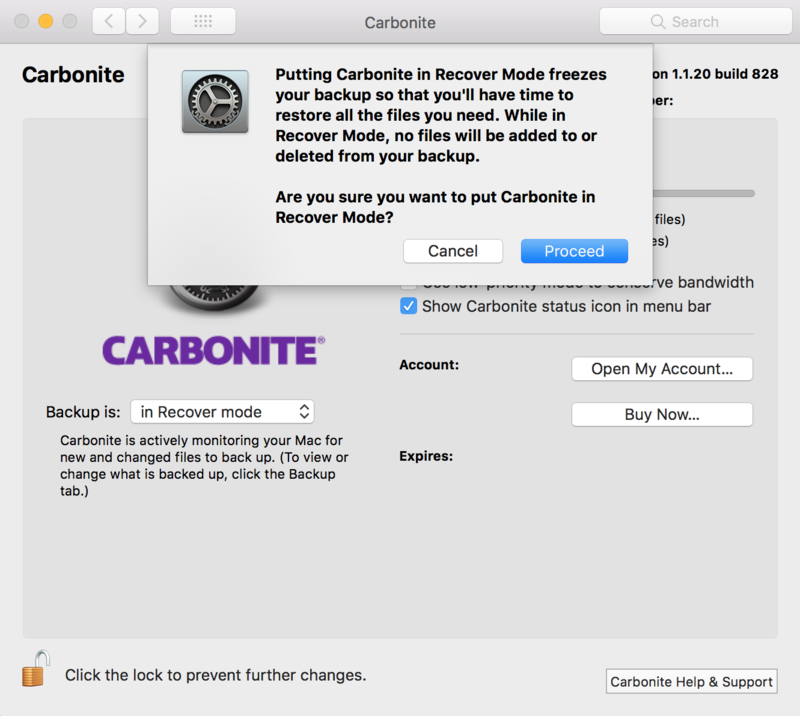 If you close and re-open Carbonite or your computer restarts during the restore process, the restore progress may display 0%. In these cases, the progress bar restarts at 0% of what is remaining to be restored. Everything restored before is still on your computer and available to use. Did using only this article resolve your issue? Did you find the resolution within your first search? What other steps have you taken to resolve your issue? Was this article relevant to your issue? Do you still need to contact support? What can we do to make this article more helpful? What is the main reason for your visit today? What is your comfort level with computers? How often do you visit the Carbonite Support site? The layout of the site and articles? The ease of finding information? How likely are you to self-serve in the future? Restore: The act of downloading your backed up files from our servers to your computer. Back up: The act of uploading a copy of your files to our servers for safekeeping. Backup: This is the copy of files that you've backed up to our servers. InfoCenter: This is the Carbonite user interface on the Windows version of the product. 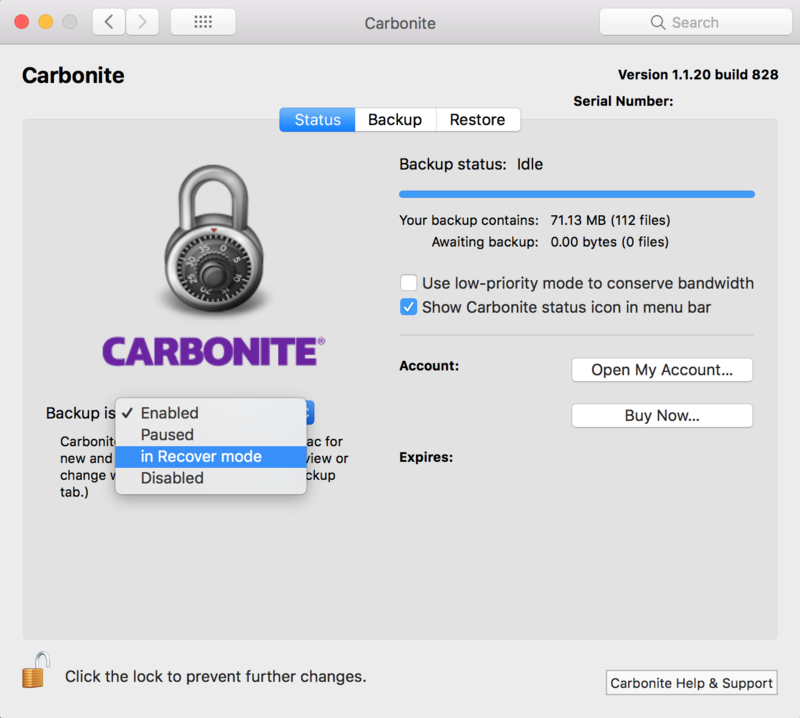 Carbonite Backup Drive (CBUD): this is your interface into what's in your backup and how you can restore files or remove files from your backup. Dots: We place colored status dots on your files in order for you to quickly see what's backed up. Frozen for safekeeping (freeze backup / frozen mode) : This is a state that you can place Carbonite in to let you safely restore your backup. While in this state, no files or changes will be backed up to our servers.